Barely, it seems, have I published one of these month in writing posts, when I find myself starting to think about the next one. Fortunately this one shouldn’t take too long as it’s been a productive writing month. Some exciting stuff has happened too. During May I wrote a post on Writing Craft for the Alliance of Independent Authors, which made it to their website during June. It discusses the importance of writing the book you want and the equal need to edit for the reader. You can read it here. 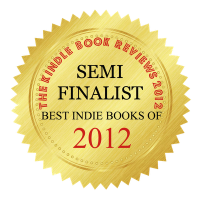 On the 1st July The Kindle Book Review announced the semi-finalists for their 2012 Best Indie Book Awards. I’m very pleased to say Chasing Innocence was on the short-list in the Thriller category. This is a very important award to me because its judges and reviewers are all die hard fans of indie books. They announce the finalists on 1st Sept. Gulp. I had to the end of June spent precisely zero on Marketing Chasing Innocence, this despite having sold over two thousand copies in the first six months. While some great reviews and a lot of Twitter buzz for CI have come from America, I have sold very few copies there. This is probably because there’s so much competition. As an experiment I have bought four months of website space leading to Christmas on the above mentioned Kindle Book Review site. This will display the book cover with a link to Amazon US. It cost $140 for the four months and will need to sell seventy books to break even. We will see. I sold five last month in the US contrasted against three hundred in the UK. Which reminds me, I sold my first book in France. How cool. Merci qui que vous soyez pour être la première personne à acheter Chasing Innocence en France. When publishing CI I was very driven by the need to produce a product that matched the quality produced by commercial publishers. In achieving this I worked with some great people, not least Lorena Goldsmith, Katie (editor, copy edit), Richard (design) and Allison (proof edit). I can’t speak highly enough of what they did. A few months back Lorena started her own publishing company: Aston Bay Press, and I’m pleased to say I’m teaming up with her to produce the Kindle conversions for the books they publish. I’m very excited about this. Lorena and I had a great couple of hours swapping publishing war stories over coffee in the British Library near Euston. On my blog I started a series of posts about how I write, starting with Interface and Finding Time. During July I’m hoping to add Method and anything else about writing craft I can. As I’m also a top 500 Amazon reviewer (142 as we speak) I thought I’d add one paragraph summaries of my Amazon reviews to my blog, with the rather mercenary aim of drawing people to my blog. The review section is called: ‘Recently I…‘ Towards the back of the month I spent a great night learning about online marketing with Chris McCormack, a fellow wordwatcher, journalist, childrens book author and newspaper managing director. I’m now armed with rudimentary skills in Google Analytics, Adwords and Facebook advertising, which probably makes me dangerous (to myself). It’s a steep learning curve although the best advice like all things, was the most obvious. I’ll let you know how it goes. After reading last month’s American Gods I thought it would be a struggle to find something that I might enjoy quite so much. I did struggle, starting Fifty Shades of Grey as a book club read. In fact I struggled mightily. While my wife was bare knuckle fighting other Tesco’s shoppers for the last copy of book two, I was puzzling over Ana’s accident proneness – she can only be partially sighted. And goddamn if that girl can blush, about every other paragraph. Not only is it likely she’s blind but I’m worried she’s on the verge of having a stroke. Someone should warn her. 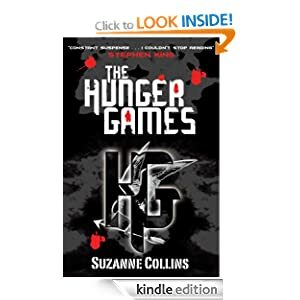 Fortunately my reading picked up with the BRILLIANT Hunger Games. I’m very excited about the sequels patiently waiting on my Kindle. 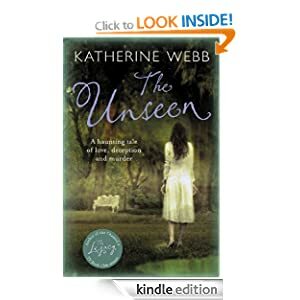 I am currently reading Katherine Webb’s The Unseen, the reading of which I can only describe as being like watching the sun reflect off diamonds. I’ll let you know next month whether the story matched. I’m reliably told it will. As for Potter writing, it went very well. I am of course racked with the foreboding that it’s all a big mess – but then Lee Child confesses to feeling that every year. Oh for the naivety of that first book where I just sat down and did my best to write a thrilling story, and thought it was finished save for a few tweaks after the first draft. Aside from the fear of failure which in part drives me, I’m now really enjoying writing. The characters all seem real and I’ve got them jabbering away in my head during almost all moments. I got down just over seven thousand words in June and I’m building momentum. Especially now it’s the story that needs writing and not the creation of the characters. I’m also not being so precious about the edits. A maximum of five passes through each chapter and no editing at all until I have at least everything I wanted to say in that chapter on the page. I’m expecting the next three months to be 10k plus each, which should leave me somewhere near the intended end of the book. Although, I have been dabbling with writing the whole trilogy in one long sequence and publishing them all a month apart. We will see. At the moment I’m enjoying the process as much as it’s possible to enjoy writing the first draft, which I don’t. Not really. It’s the edit I live for.